I’ve always been dimly aware of The Outsiders, mostly because Batman and the Outsiders (1983) #11 was one of the first dog-eared comic books of my early childhood – years before I started collecting. Yet, as of a few weeks ago, I couldn’t have told you who a single one of the characters in the header image were aside from Katana. Heck, it was years into New 52 before I realized that the Katana I know from that classic cover image was the same one who starred in Birds of Prey and Suicide Squad! Based on her costume, I thought she was some kind of DC Sunfire analog. New For Patrons: The Definitive Guide to Dazzler! I’ve always loved Dazzler, purely because she was the Madonna of the Marvel Universe back when I was originally a reader (and a Madonna fan) back in the early 90s. However, her run on Uncanny X-Men by Claremont was much too expensive for me to buy as back issues (and, for some reason I never sought out her 1980 series as a lot at a convention). As with all of my guides for individual heroes who have not anchored their own titles for long, putting this page together was punishing. 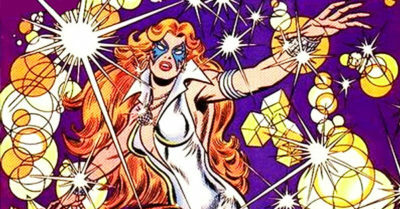 It would be easy to simply link to Dazzler’s solo stories, or even to list all of her guest appearances in order. Of course, I had to do more than that. I browsed nearly every Dazzler appearance outside of her solo series to figure out which were the most important! [Read more…] about New For Patrons: The Definitive Guide to Dazzler! Here’s part two of my one-two punch of Marvel Era guides for Patrons of Crushing Krisis, and oh my goodness was this one a lot more complicated than the first! 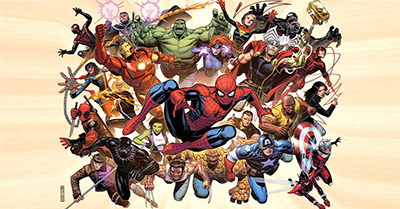 This Marvel Legacy page covers every series that was released during Marvel Legacy, a brief six-month period of Marvel continuity that followed the ending of Secret Empire. For each series, it lists the launching creative team, explains where it continued from and where it will continue to, and links to the guide that contains the full reading order details. This guide covers every Sentry appearance, from his debut in 2000 through his return in Marvel Legacy. Not only does it cover every appearance, it also summarizes all of his guest appearances, so you can know if they are critical or just a cameo. I gained a whole new appreciation for Sentry from working on this page. I’m not usually a big fan of major retcons, and that includes retconned characters. However, Paul Jenkins created a perfectly flawed Marvel Superman in his retroactive insertion of The Sentry into Marvel’s Silver Age – and he came with the perfect excuse for why we’ve all forgotten them. 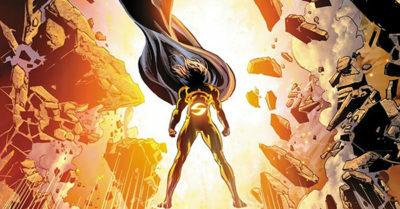 Then, Brian Bendis made Sentry’s flaws one of the major themes of his run on Avengers. Those flaws aren’t just of a single character, but representative of how the moral purity of Silver Age heroes decays in the modern age. In his inflexible pursuit of rightness, Bendis’s Sentry sides with registration in Civil War, joins Norman Osborn’s Dark Avengers, and eventually implodes into his darkness. In a way, I feel like I wasted my initial read of Bendis’s Avengers because I wasn’t already familiar with The Sentry when I started! It’s not a coincidence that a Sentry guide helps me to plug a hole in the new Marvel Fresh Start era page. If you want to predict my next few Marvel guides, it’s as easy as thinking about the gaps of my coverage of ongoing series in Fresh Start, Legacy, All-New All-Different, and Marvel Now. Want access to this guide today? It’s available, along over a dozen other exclusive guides, in exchange for covering $1.99 a month of CK’s hosting expenses. Sometimes it takes a long time for a plan to come to fruition. Case and point: tonight’s new guide for Patrons of Crushing Krisis, which is less of a guide than a directory page … and which has been in the works for well over a year (even though it’s a guide for something that has just been announced)! This Marvel Fresh Start page covers every series announced so far for Fresh Start, including ongoing series that are continuing into the era. 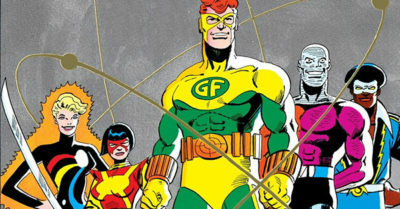 For each series, it lists the launching creative team, explains where it is continuing from, and links to the guide that contains the full reading order details. The plan for this page began in December of 2016. At that time, I was working on the massive DC New 52 and DC Rebirth guides to debut for Patreons early in this campaign. It made so much sense to see an entire era of comic books summarized in one page … so why hadn’t I done that for Marvel!? The answer to the question has to do with the transgressive nature of those two guides. I have a “double jeopardy” house rule on CK where I try my utmost to avoid detailing how to collect issues of a certain series in more than one place. If I do, that means I’ll have to update more than one place as new collections come out over the years – doubling my work load. However, when I launched the DC section of the site, there were literally no other DC Guides, so I had no choice but to detail the full collection information of every series on the New 52 and Rebirth pages. I was definitely not going to take that approach for Marvel – it would be the death of me! However, the alternative was for a Marvel Era page to link to the corresponding guide page for every series in the era. I’ve got pretty strong coverage of Marvel’s bibliography, but not quite that strong! Thus, began my journey to catch up my comic guides with the present day of Marvel. That involved not only several new guides, but breaking up existing guides that covered multiple characters and changing section structures so I could link into each one at a consistent spot for each era. It also meant catching up on reading Marvel, so I could explain the continuity of the post-Secret Wars Marvel Universe. I’ve read over 1400 issues of Marvel comics in the last 16 months! 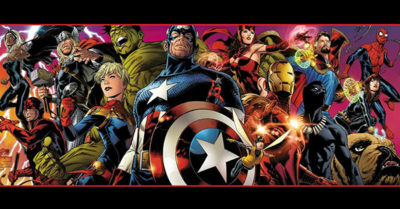 This era guide is just the first in a series – I’m already putting the finishing touches on Marvel Legacy, plus working on launching new character guides to support era pages for All-New All-Different, Marvel Now, Heroic Age, and more. Eventually, Crushing Comics will cover every Marvel series and issue from the beginning of the Silver Age through the present day! Want access to this guide today? This is guide is available to all Patrons of Crushing Krisis, regardless of their level of support. Join the campaign by pledging as little as $1 a month to support a site that can help you fall in love with and follow thousands of your favorite comic books. 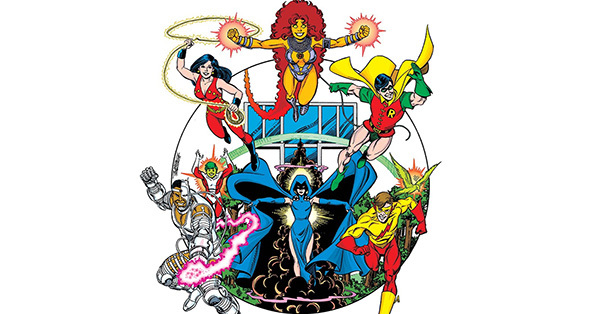 This guide covers every in-continuity Teen Titans series, from their first appearance in The Brave and The Bold (1955) #54 and 60 in 1964 to the two titles currently running in Rebirth. This guide was nowhere near next on my list, but two things changed that. First, I reached Teen Titans and Titans in my DC Rebirth reading. I felt like I didn’t understand who any of the characters were or where they came from. As is my wont, as I read the comics and researched the characters, I sketched in some guide details. Within a few hours I realized I had a solid skeleton for a a complex guide. Second, earlier this week I polled my friends at The Omnibus Collector’s™ Comic Swap and Community and they overwhelmingly voted that this should be the next guide I tackle!